I had this beer on tap at Devaney’s Irish Pub in Edmonton. 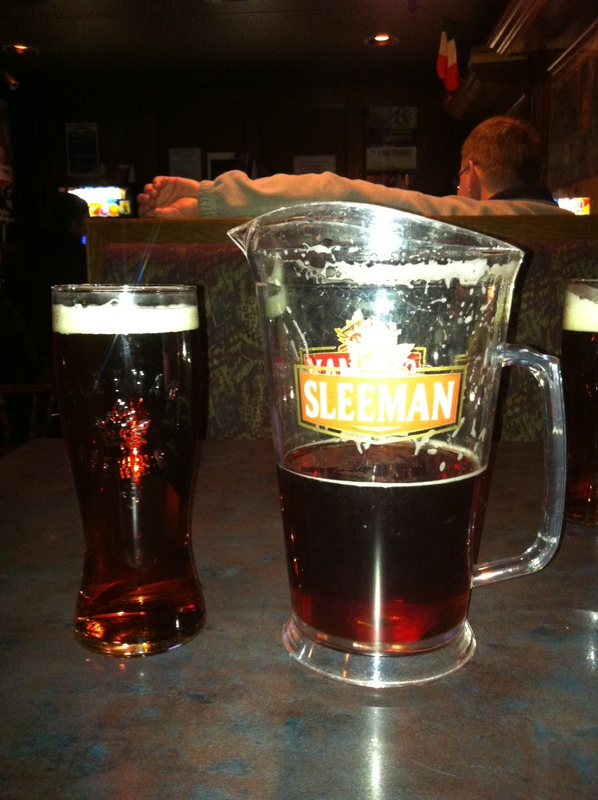 A friend and I split a pitcher. 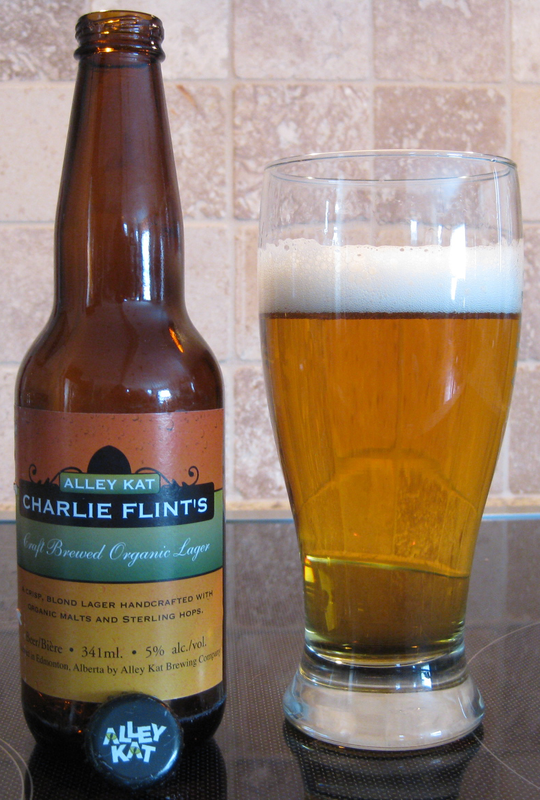 The beer is a clear light golden brown and head pours a thick and creamy white – about two fingers. Retention and lacing are both surprisingly good. The aroma is very faint and I am hard pressed to detect much of anything. I can smell some sweet malt. Despite how much I try I can not pick up on any honey. The beer tastes very sweet and malty. I still don’t pick up on any honey although that might be what is causing the sweetness. I also taste no hops. The beer is lightly carbonated with a light body. It is quite smooth. There was nothing disgusting about this beer but there was also nothing stellar. I wouldn’t ever intentionally seek this beer out. When you are going to be drinking a couple pints and your other options end in “Light” or “Lite” or advertise their drinkability – this is a good choice. beer because I was extremely thirsty and hungry after standing for an hour and a half to get a table. 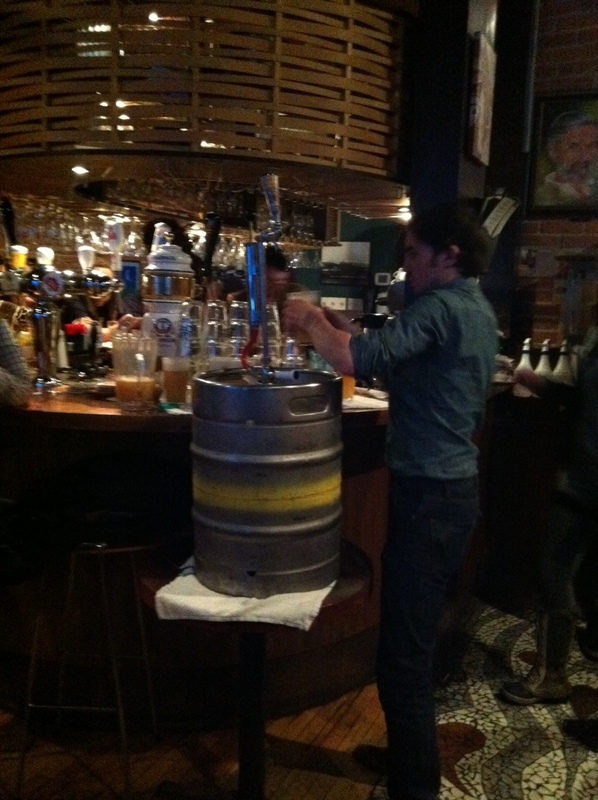 I was lucky there was still beer left in the cask! The Sugar Bowl is a great venue and this is a fantastic event but it was certainly pushing the limits in terms of capacity. Anyway, on to the beer. The beer poured an extremely cloudy yellow. Belgian Wit beers are unfiltered so the cloudy was expected. The color of the beer was a bit of a surprise for me. It looked appetizing. The beer was brewed with orange and coriander so you can expect something a little citrusy. There was a very frothy and foamy white head on the beer which left a lot of lacing on the glass. Retention was average. The beer smelt of oranges, I really didn’t note a lot else. You could taste the wheat beer base to this with a bit of the funky notes from Belgian yeast. The overpowering flavors were of oranges. The coriander was there but was subdued. I think the beer was a bit heavy on the oranges. It almost tasted like someone mixed some wheat beer with Orangina. The beer was enjoyable but I think leaves some room for improvement. I did not order a second one but instead opted for a couple other beers off the Sugar Bowls extensive menu. Reviews on those to come.